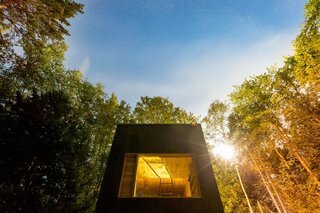 At $125 a night, a startup offers rentable micro cabins to help urban dwellers escape the daily grind. 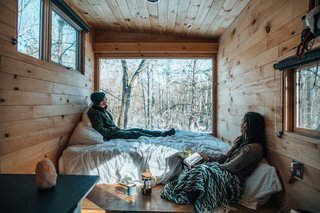 When it comes to escaping the city for a restorative stay in nature, few retreats offer the conveniences and charm found in the tiny cabins of Getaway. 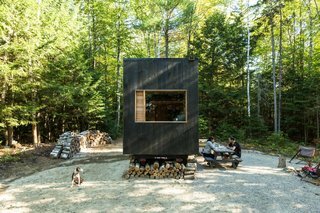 Riding the wave of the tiny house movement, the Harvard–born startup has nestled 75 rentable micro units in various remote forests. As a digital detox destination, the cabins are WIFI-free and have little-to-no cell service. 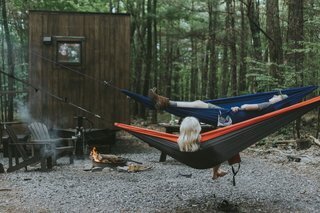 Launched in the summer of 2015, Getaway has stayed true to its back-to-nature roots throughout its expansion, from its first campsite outside of Boston in Southern New Hampshire to its outposts near New York City and Washington, D.C.
Each campsite has multiple cabins that are spaced far enough part to preserve privacy. To stimulate guests’ curiosity, the exact locations are kept secret until after booking. The campsites are, however, only a couple of hours from major East Coast cities. More so, a handy distance calculator is available online to keep driving expectations in check. The cabins come stocked with snacks for purchase, including coffee, teas, pasta, s’mores, and popcorn. "It’s an experience designed to bring us back to our elements, immerse us in the magic of the woods, and challenge us to rediscover the pleasure of boredom, solitude, and unstructured time," explains the startup. The cabins—all designed in-house—sport a minimalist aesthetic, deliberately pared-down to let nature take the spotlight. Eastern White Pine is used exclusively for the construction of the cabins, while natural materials are emphasized throughout the interior to create a seamless transition between indoors and out. Getaway offers both two-sleeper and four-sleeper cabins to accommodate guests traveling alone or with family. 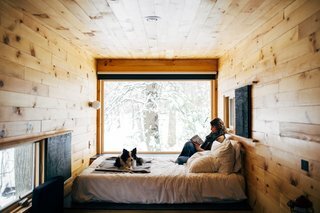 The defining feature of the Getaway cabins is the massive window placed next to the beds. 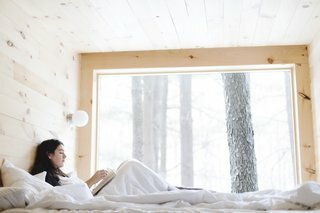 "The concept behind this design is to sleep in nature: one can go to bed gazing up at the night sky and then wake up with the sun, adjacent to the trees," the startup states. "The window is our equivalent of a television screen one finds in hotel rooms." The cabins’ 10-inch Zinus Memory Foam mattresses provide a comfortable night’s sleep. Since the cabins are designed with spontaneous getaways in mind, all the essentials, aside from toiletries, are provided. In addition to a queen-size bed, each cabin is equipped with a fully stocked kitchenette—along with a mini-fridge and two-burner stove—a full bathroom, a dining table, board games, and an outdoor fire pit with a picnic table and additional seating. Chunky, super soft alpaca. Hand-felted details. All woven in natural colors (no harmful dyes here). This blanket is the stuff dreams are made of. 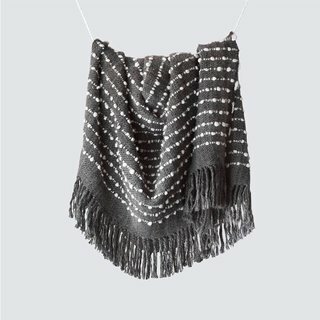 Each blanket is meticulously handwoven by two groups of 38 master weavers in Iquique and Arica, Chile. All outposts are a two-hour drive (or less) from its respective city, without traffic. Getaway currently offers 43 cabins outside Boston, 12 cabins near New York City, and 20 cabins at its outpost by Washington, D.C. The firm plans to expand to six more markets by the end of this year. 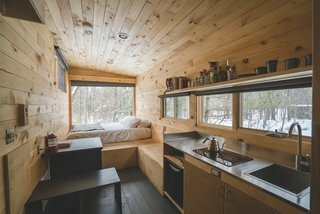 The tiny cabins range between 140 and 200 square feet in size. The timber exterior is stained to help the cabins blend in with the environment. Interested in your own getaway? Check out the Getaway website.